Gameplay is accompanied by pleasant music and original "crunchy" cube turning sounds. Test your calculating skills and your mind! Good luck! 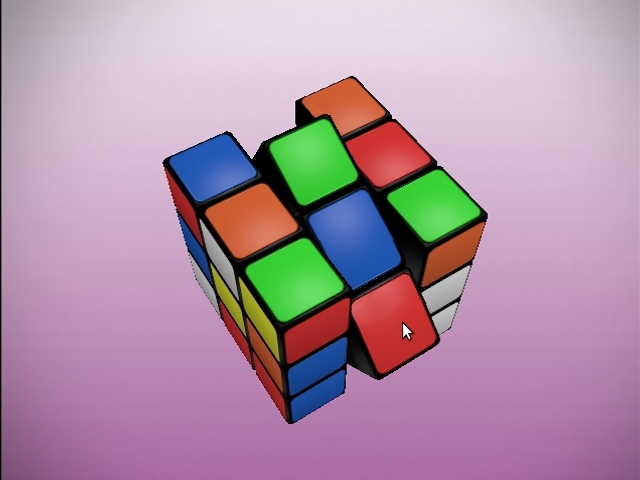 Rotate the cube by pinching the left mouse button. Rotate the camera around the cube by pinching the right mouse button. Magic Cube is a mechanical puzzle. The player's task is to assemble a Rubik's cube, turning the face of the cube to return it to its original state with each of the faces displaying squares of the same color. Gameplay is accompanied by pleasant music and original "crunchy" cube turning sounds. Test your calculating skills and your mind! Good luck!